February is a popular time of year for taking a holiday. It’s a great opportunity to escape what will hopefully be the last remaining winter chills and experience some much needed sun, before coming home to detect the first hints of spring on the horizon. If you’re looking for the best holiday destinations in February, take a look at this selection – short haul, long haul, city culture or beach break, there’s something here to suit everyone. A holiday in New Orleans must be one of travel’s big adventures. 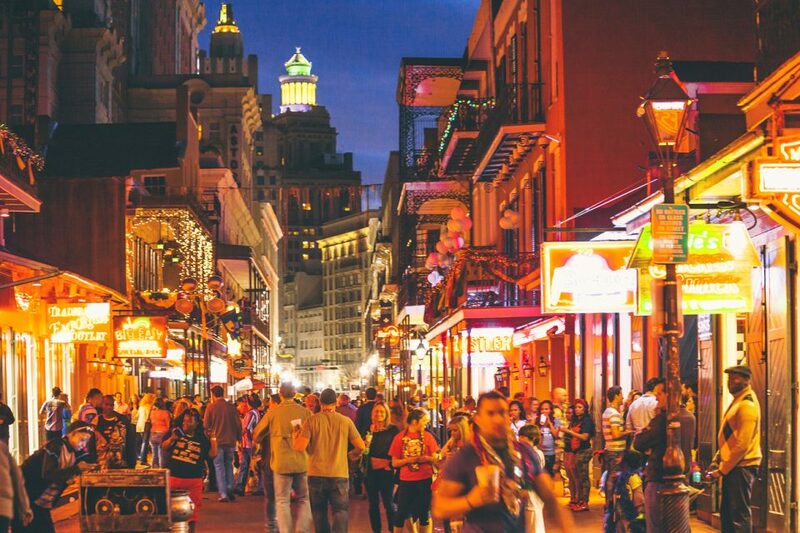 Famously known as the Big Easy, this hotbed of exotic culture, jazz music and ultra tasty Cajun cuisine is a huge draw for tourists at the best of times. But what makes it one of the best holiday locations in February is the presence of Mardi Gras, the spectacular carnival. In 2019, Mardi Gras – also known as Fat Tuesday – falls on March 5 but parades start a couple of weeks before then, with the Family Festival starting on February 22. It will be busy, but one amazing and unforgettable experience! If you’d rather visit New Orleans on the quieter side, go for the start of the month and breathe in the sights and sounds of attractions such as Jackson Square in the French Quarter. For a change of scene, head outside the city and take a tour around the Louisiana swamps. Venice in Italy can be packed with tourists in the summer months but may be one of the best holiday locations in February. While you won’t exactly have this mystical Italy to yourself, the crowds thin out, hotels have availability, prices tend to be less expensive and you’ll have your pick of restaurants to eat out in. Make the most of it! Wrap up against the inevitable chill and take a walk around the Piazza San Marco, soaking up the atmosphere and architecture; at night, it’s not unusual for musicians to play. 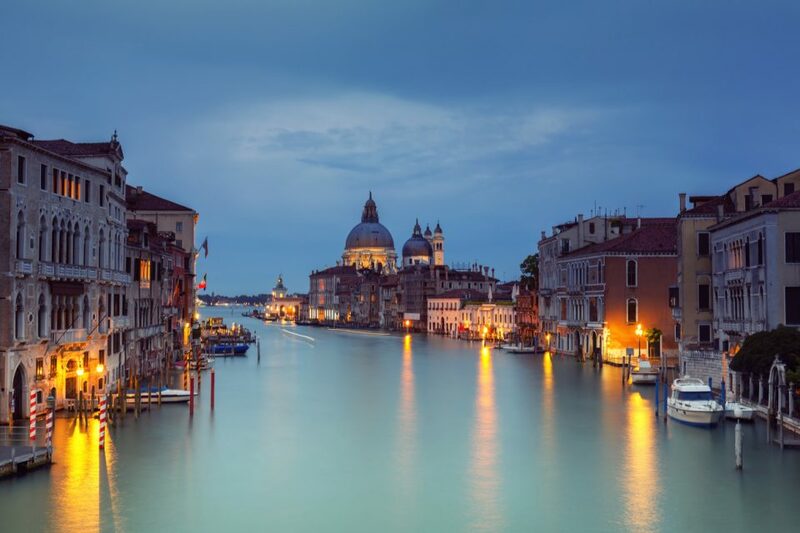 There are plenty of other gems in Venice, including the San Giorgio Maggiore bell tower and the Teatro La Fenice opera house. Of course, the best plan may be to simply meander around and see where Venice takes you. 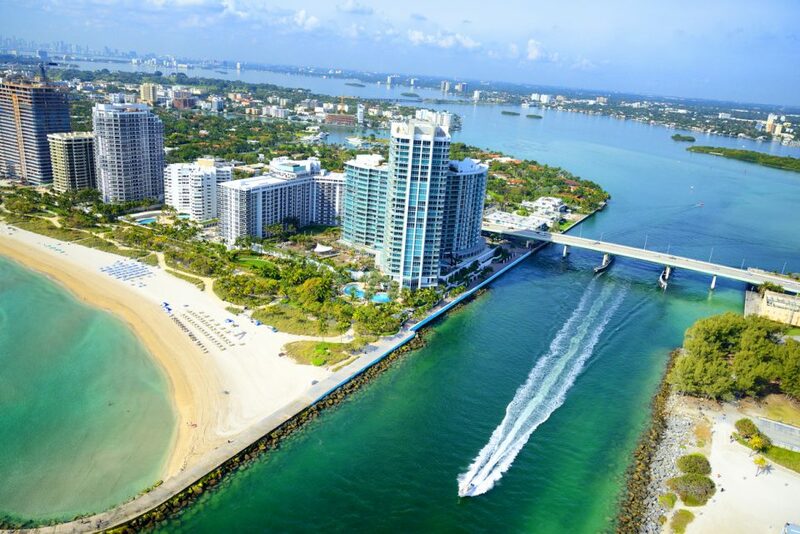 Miami is a glorious holiday destination, an alluring combination of glamour and glitz, and retro charm in the form of the beautiful Art Deco buildings in the South Beach region. It’s definitely a contender as the best place to go on holiday in February as it offers the full holiday experience. It has a vibrant nightlife and extensive beaches – South Beach occupies three miles of Miami sand. Part of that area is Ocean Drive, a stretch of top class bars, hotels and restaurants. Spread out a little further and you’ll find Little Havana and the Wynwood Art District, and still further the Florida Keys and Orlando. March is Spring Break time in the USA so Miami will be full of students in party mode, as well as the Ultra Music Festival – so beat the rush and head there in February. This is one of the Caribbean’s most popular islands, so it’s no surprise that it’s one of the best holiday destinations in February. 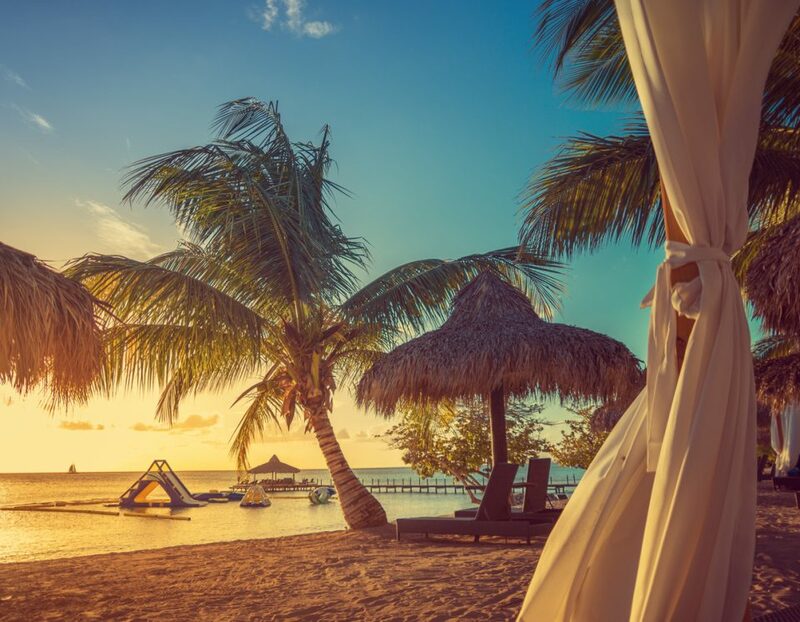 For a holiday so laid back you’ll be virtually horizontal, the Dominican Republic is a wonderful choice with stunning beaches such as Punta Cana, Playa Dorada and Playa Boca Chica. It has a lively nightlife scene as well, with open air bar terraces enabling you to drink in the views as well as delicious cocktails, and some gloriously historic towns – capital city Santo Domingo is a must see with its fortress and churches. It’s perfect as an all inclusive holiday destination. The best holiday locations in February don’t have to be those that deliver winter sun. Some of the finest offer snow instead! There are a number of great destinations which provide perfect skiing conditions. 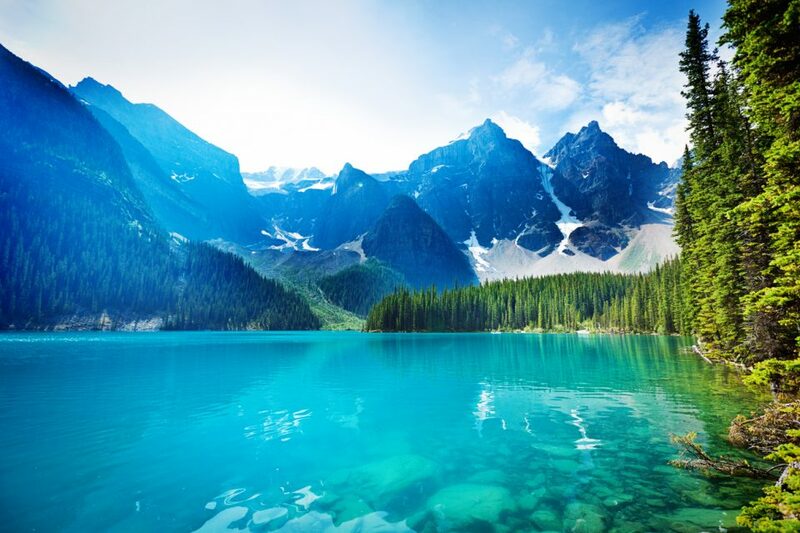 Canada’s British Columbia is one of those, headed up by Whistler, a town just north of Vancouver. For skiers and snowboarders, Whistler is a fantastic destination. Not only does it offer world-class skiing and snowboarding it also provides a host of other activities, including ice skating, winter bungee jumping, dog sledding and hockey tours. There’s ample opportunity to relax, too, with lots of restaurants, shops and spas. Banff, located in the National Park in Alberta, is another excellent location for a February holiday. If it’s soaring temperatures and glorious sun you’re after, Mauritius is among the best holiday destinations in February. Seasons in the southern hemisphere are the opposite of those in the northern hemisphere (eg Europe) so its summer is from November to April – meaning the weather in February is usually hot and humid. If it’s a long and lazy sunbathing holiday you crave, this ticks the box in a big way but Mauritius also has plenty of fascinating sights to explore. Try the Rodrigues coastal walk if you can, a day or two exploring the bustling town of Port Louis or indulge in some whale and dolphin spotting. 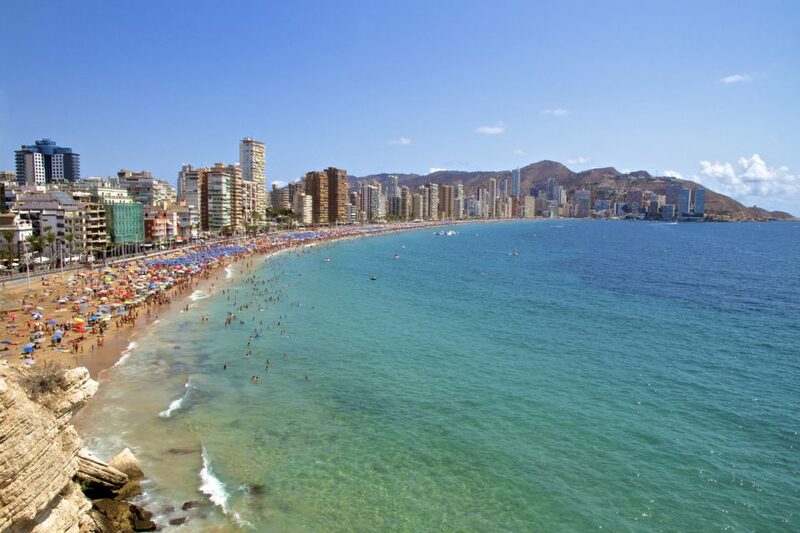 You may associate Benidorm with a brash seaside type of resort – overcrowded with tourists seeking all day breakfasts and cheap entertainment. Think again; while this sun-soaked Costa Blanca destination caters for all tastes it also has bags of charm and there’s a reason it’s always such a popular choice for holidaymakers. It entirely depends on what you’re looking for. With pleasant temperatures even in late winter and early Spring, it’s justifiably one of the best holiday destinations in February. It’s obviously quieter than in peak summer season but the beautiful sandy beaches remain and there are still plenty of bars and restaurants open. Exploring the fishing villages in and around Benidorm and the eastern Spanish coast – also known as the White Coast. A trip to Paris is highly recommended at any time – there’s never really a reason not to go! But February, of course, means school mid-term holidays and that means that Disneyland Paris beckons. If you’ve never been before, it’s a must on the bucket list. For Irish holidaymakers it’s so easy to reach with a short travel time, and kids will never forget the experience (not that Disneyland is exclusively for kids, of course!). 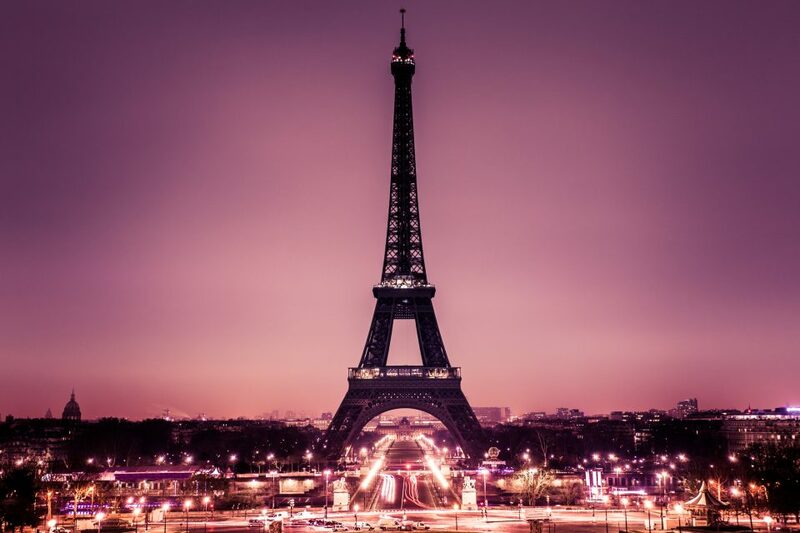 To make a superb holiday, why not spend a few days in the resort and combine that with a few days staying in Paris? The French capital is, of course, one of Europe’s most fashionable cities with chic clothing stores, top-class restaurants and historic sights. The Canary Islands have excellent all-round appeal, largely because of its reliably high climate – head to any of its member islands at any time of year and you’ll find sunny temperatures. Tenerife is ideal for sun seekers after an early beach holiday and families will find plenty of choice in resorts, with wonderfully white sandy beaches, a wide selection of restaurants and bars, and entertainment. Leading resorts include the lively Playa de las Americas, the sophisticated Costa Adeje and the tranquil and soothing Los Gigantes. For a city break par excellence, it has to be New York. The Big Apple is a stunning destination, offering so much that a mere weekend doesn’t really do it justice! In fact, there’s so much to do during a holiday to New York that you’ll soon be eager to return again. Central Park, Manhattan, Times Square, the Empire State Building, Brooklyn Bridge, Fifth Avenue – there are endless stores to shop, fine restaurants to dine in, and bars to relax in. If you have the time, spread out a little too. Away from the typical tourist areas, Greenwich Village and SoHo are hip and trendy. Could you squeeze in some time in nearby Long Island?